Octoberfest takes on new meaning at ISU as some of the best movies so far this year will be shown at the Pond Student Union next month, beginning with a free movie night this Sunday, October 1, with "AWAKE: A Dream from Standing Rock" showing at 4:30 and 7 p.m. in the Bengal Theater, telling the dramatic story of the historic native-led peaceful resistance at the Standing Rock Sioux Reservation, where thousands of activists traveled to North Dakota from all over the world to take a stand alongside the "water protectors"-- activists opposing construction of the 3.7 billion dollar Dakota Access Pipeline. All are welcome to attend. For trailer and more information go to www.isucinema.com/awake. 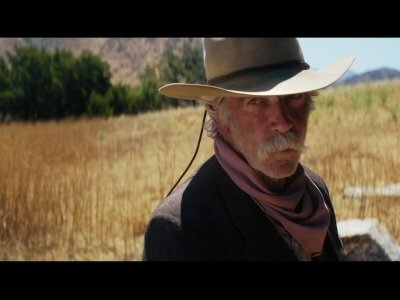 The poet urges us to “rage, rage against the dying of the light.” But just as Lee Hayden (Sam Elliott), a 71-year-old actor living off voice-over work in Los Angeles, finds out that he’s receiving a (OK, a bogus) Life Achievement award and has met a younger woman named Charlotte Dylan (a captivating Laura Prepon, “Orange Is the New Black”), he gets bad news from his doctor. SANTA MONICA, Calif. (AP) — Sam Elliott is thinking about the old days. About when he was just starting out in Hollywood in the late 60s as a contract player for 20th Century Fox, getting paid $85 a week and paying $85 a month for a little bachelor apartment near the studio gate. About how William Holden once took him to get a French Dip sandwich to calm his nerves after he froze up in a scene. About working with Jimmy Stewart and Slim Pickens and Ben Johnson. At the beginning of "The Hero," Lee Hayden, the aging Hollywood Western actor played by Sam Elliott, is recording a radio spot for barbecue sauce. And he's really, really good at it. "Lone Star barbecue sauce," he intones, in a deep, luxuriant drawl that sounds just like, well, Sam Elliott. "The perfect pardner for your chicken." A horror film that's garnering stellar reviews is the top choice this weekend when many people are catching up on Oscar favorites ahead of Sunday night's ceremony. A young interracial couple takes their dating to the “meet the parents” level with nightmare results in this horror film directed by Jordan Peele of Key & Peele fame. Kalispell Flathead: Cade White 2, Wyatt Potter 2, Bridger Johnson 6, Eric Seaman 5, Cole Gunderson 5, Tyler Johnson 18, Sam Elliott 19, Dawson Smith 4. Missoula Hellgate: Landon Youbles 6, Derrius Collins 23, Dylan Holst 3, Kade Lunday 2, Bridger Deden 10, Rollie Worster 11, Bridger Liston 2. Kalispell Flathead: Cade White 4, Wyatt Potter 4, Bridger Johnson 12, Eric Seaman 2, Tyler Johnson 15, Sam Elliott 8. Missoula Sentinel: Mitch Roberts 9, Danny McKittrick 5, Brayden Danzinger 2, Sam Beighle 9, Ethan Jones 5, Will Mytty 18, Griffin Line 4. LOS ANGELES (AP) — Whether muse or friend or both, actors and directors choosing to work together again is a tale as old as cinema. 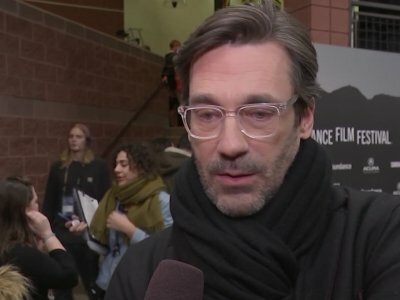 It's no different this year at the Sundance Film Festival, which kicks off in Park City, Utah on Thursday and sees the reteaming of some must-see collaborators, from "I'll See You In My Dreams'" Brett Haley and Sam Elliott to the "Obvious Child" team of Gillian Robespierre and Jenny Slate. LOS ANGELES (AP) — Jenny Slate reunites with her "Obvious Child" director in the '90s-set "Landline," Sam Elliott plays a stoner Western film icon in "The Hero," Aubrey Plaza gets serious in "Ingrid Goes West," and Jennifer Aniston teams up with the future Han Solo, Alden Ehrenreich, in the Gulf War drama "The Yellow Birds" in some of the films in competition at the 2017 Sundance Film Festival.